As Germany struggles to cope with its Muslim migrant problem, the Interior Ministry has launched an ad campaign to pay migrants to go back home. This move is a retreat from the globalist utopian vision of open borders and the goal of bringing migrants into Europe as workers and taxpayers to compensate for the low birthrates in Western nations. Back in 2017, Berlin offered compensation to rejected refugees who wouldn’t fight deportation. Every volunteer returnee normally gets some €1,200 from the German authorities but, according to German media, under the new program they could get up to €3,000. Speaking for “ordinary people” is off base, considering the thousands of people in cities across Germany who marched against the migrant influx. Many of those protestors were themselves immigrants and former refugees. All in all, the majority of Europeans oppose the Muslim migrant influx, as globalists and their media lackeys try to show otherwise. 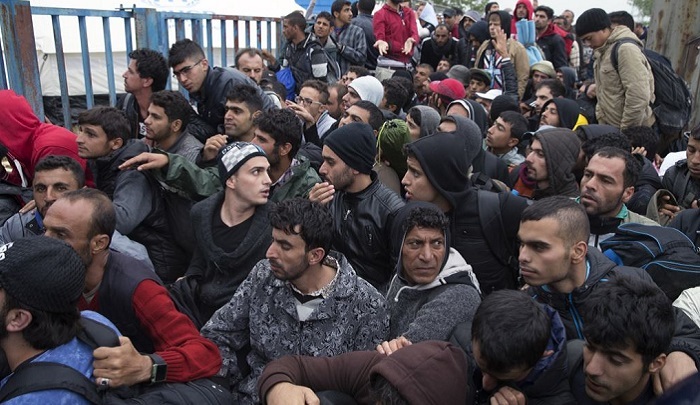 Germany has lost track of over one million “refugees”; rapists and jihadists are at large. More Germans are now arming themselves following the many high profile attacks. Paying migrants to return home is a futile venture, as it risks establishing a cycle of returnees who are paid multiple times to go home. But it does indicate that even German officials are now tacitly acknowledging how dangerous open borders are to Germany and any sovereign nation. It remains to be seen whether the ministry struck a chord with the people it sought to reach out to, but it has already clearly sparked a backlash. EDITORS NOTE: This column with images originally appeared on Jihad Watch. It is republished with permission. The featured photo is by Lukas Juhas on Unsplash.